What is the Average Payout on an Illinois Nursing Home Injury Case? The total amount awarded will depend on the extent of the injury and can also be affected by some state laws that limit the amount of compensation that can be recovered. Age of the individual. Sad as it may be, the value placed on the life of a younger person is generally more than the value placed on the life of an elder. Conduct of the facility. Did the episode involve one staff member who made a poor decision or was it more reflective of a poor system of care? Facilities history of care. Some facilities have a poor track record of care while others may be relatively ‘good' facilities who had a bad day. Facilities with ongoing problems may be more likely to resolve cases than a facility who does not have them. Is the nursing home insured? Dealing with an insurance company is generally better than negotiating with an individual when it comes to the settlement of a case. Was the family regularly involved in the care of their loved one? A family that was actively involved and made regular visits is more likely to receive a substantial settlement than a family who did not and only made an appearance when it came time to get money. For additional information on Illinois nursing home settlements and verdicts look here. This case was based out of Chicago, Illinois. The plaintiff was an elderly woman. She was 87 at the time of the case. She entered the nursing home in the middle of 2013. During her time there, staff failed to properly watch over her. They didn’t erect proper guards to keep her from falling. As a result, she fell four times. She broke her hip on the last fall. That injury required surgery. Doctors had to go in and put a pin in the area. Still, she was left with a lot of pain. Plus, she had a new disability. She sued the nursing home. Her suit alleged it was negligence. She argued it failed to make a plain to protect. Also, it didn’t follow any procedures to reasonably keep her safe. As a result, she was injured and suffered damages. Her damages included pain, broken bones, handicaps, and medical bills, just to name a few. The defendant offered a summary reply. Typically, it denied all fault. Nursing homes normally offer that the plaintiff was to blame at least in part in these cases. Yet, this doesn’t mean they want to prove that at trial though. That was the case here. Both sides entered into a private settlement not long after the case was filed. The woman received $250,000. The events of this suit arose in Anna, Illinois. A woman in her 80s entered a nursing home there. She had a history of several health issues. Her conditions included dementia and hypertension. Also, doctors considered her at risk for falls. They warned the home’s management company about this too. The next few years of her life passed without problem. Yet, when she was 92, she fell down on the floor of her room. Home staff didn’t see this happen. They found her in the early hours of the morning. She was on the floor. She lay in her own blood. They rushed her to the ER. Doctors diagnosed her with a fractured spine and hematoma. She also had many bruises and scars. Just hours after these events, she slipped into a coma. She passed away about a week after this. Her five children survived her. They were all adults. They brought an action against the home. It alleged negligence and wrongful death. The defendant cried foul. It claimed that this was not foreseeable. As a result, they couldn’t be blamed for it. Also, her doctors didn’t alert them to this risk when they checked her out just days before the fall. Finally, the home contended she didn’t feel pain while in the coma before she died. Both sides couldn’t agree to settle. The jury had to decide. They found in favor of the family. The family received $972,000. Here’s how that money was awarded. $250,000 for lost normal life. $142,000 for suffering and pain. $301,000 for wrongful death (lost society and sorrow). This settlement was reached in Cook County, Illinois. The events leading up to it occurred in Arlington Heights though. It involved a nursing home resident. He was 90. He had only lived in the facility for about a year and a half. Yet, that was enough time for him to contract a bed sore on the lower part of his spine. It got to stage four. That’s the direst stage of pressure sores. Doctors had to perform debridement surgery. They also were required to do wound treatment, biopsies, and antibiotic care. Finally, he needed a catheter at all times after the events. Later, his family also claimed that he fell while staying there. He sued the home for damages. His case claimed the home was negligent in its care of him. Then, that negligence was the proximate cause of his injuries and damages. He had almost $100,000 in medical bills from the fall and sores. He also had constant pain now. These cases rarely go to trial. The mere existence of sores is normally some sign of nursing home negligence. The point then becomes how negligent were they and how much should they pay for that. Of course, these matters can be handled in settlement. That’s what happened here. The man received $325,000. This case was based in negligence and wrongful death. The woman that passed away was 83. She entered a nursing home in Illinois with a bed sore. She was also at risk for falls. Nevertheless, the sores progressed. They reached stage four and got infected. Eventually, sepsis creeped into them too. Also, she did fall from her bed. This fall broke her femur. Her family later claimed that all of these events led to her death. Plus, she racked up around $150,000 in medical bills along the way. Her four adult kids felt that the home should bear the burden of these damages. In their view, it was responsible for her descent into death. At the very least, it could have taken some easy steps to protect. It did not, and she suffered because of it. The nursing home did not want this to get to court. At least, it preferred settlement. That would cut time and costs. The family received a $725,000 settlement. That money was to cover their bills, her pain, and their suffering. Those are the common damages categories in wrongful death and negligence cases. This case too ended fatally. The victim was 77. He was sent to a nursing home after he had a stroke. The stroke left him unable to move around or care for himself. Doctors instructed nursing home staff of his risks. These included falls, sores, and other things. Yet, it seems that the staff didn’t take note of this. At least, they didn’t take proper heed. The man developed sores. They arose along his spine and heels. They got so bad that they became infected. The man got pneumonia because of this. Eventually, his condition worsened so bad that he died. He left behind three grandkids. They believed the nursing home could have prevented death. They thought he was neglected and mistreated. They sued the home. Their claim stated that he died wrongfully, and the home was to blame. The plaintiffs pointed to the doctors’ warnings, the staff’s inaction, and the man’s death. All of this could have been stopped if the home did its job they argued. They didn’t though, and he died, and they suffered. After a summary reply, the defendant and plaintiffs entered into a back and forth. The home gave the plaintiffs $575,000 in a private agreement. Do You Have Questions About the Value of Your Nursing Home Case? 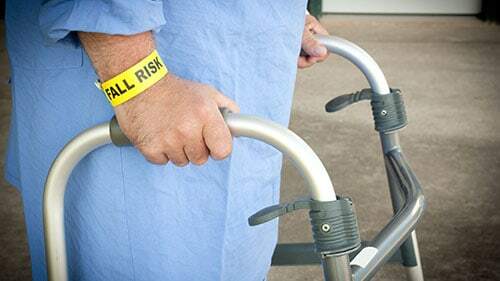 Rosenfeld Injury Lawyers LLC has successfully prosecuted hundreds of nursing home negligence cases in Illinois and across the country. When it comes to the valuation of cases, each circumstance is truly different and unique. Much of the eventual outcome will have to do with the individual impacted and the facility involved. If you have questions about your legal rights and options for pursuing a claim against a negligent facility, we invite you to contact our office. We work on a contingency fee basis, where we only receive a legal fee when we are successful in recovering compensation on your behalf. You do not need to pay anything out-of-pocket to initiate a case. Can I Get Medical Records From the Illinois Nursing Home Where My Mother Was Injured? How Long do Chicago Nursing Home Injury Lawsuits Take to Settle or go to Trial? How to Select The Best Nursing Home For Your Loved One? The Nursing Home Where My Father Was Staying Contacted Me After His Injury And Wants to Ask Me Questions Regarding His Health? What Agency Regulates The Nursing Homes to Ensure They Are Providing a Safe Environment? What Are Signs of Poor Care in a Nursing Home? What Rights Does The Federal Government Guarantee For Nursing Home Residents?